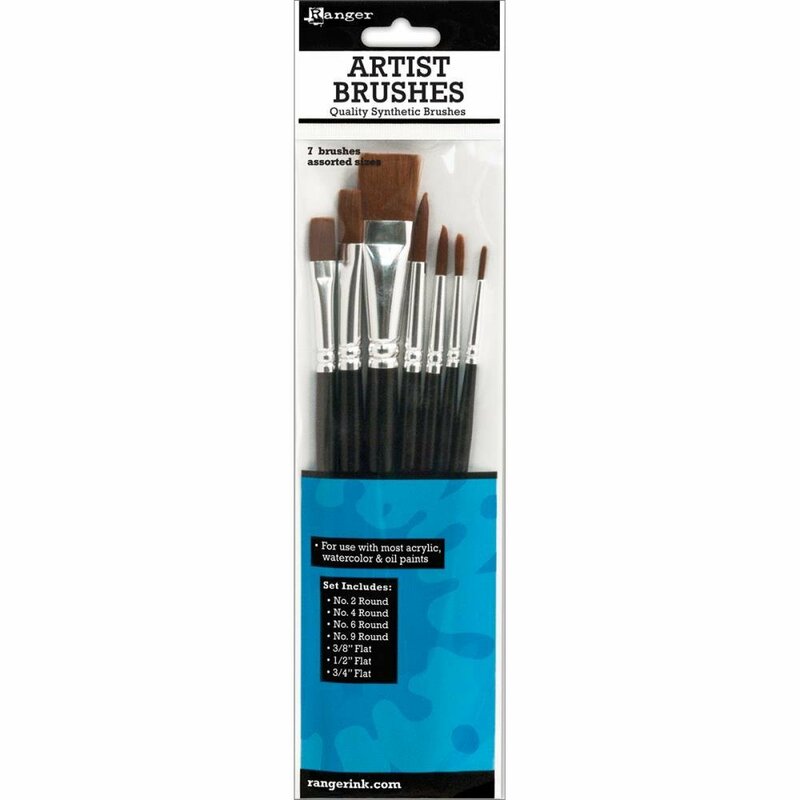 The Artist Brushes have durable synthetic bristles that retain their shape even when wet. Use with most acrylics, oils and watercolor paints. Ideal for mixed media or crafting. The brushes produce smooth, even results. Available in a 7-piece assorted set- Round Sizes 2, 4, 6 and 9 and Flat 3/8", 1/2" and 3/4" Widths.